Bagan in evening, originally uploaded by ZackTwin. 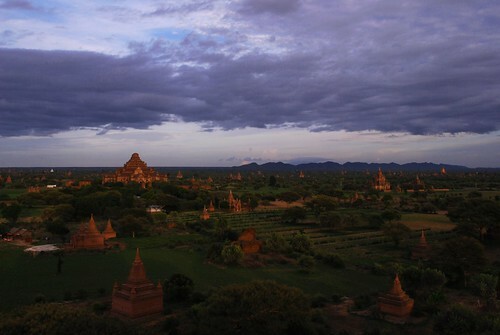 I went to ShweSanDaw Pagoda and climbed up to the top to take famous Bagan Sunset photo. Unfortunately, the weather was not in favor to take sunset photo. Everyone is disappointed. One lady told me that she came to view sunset for third time. That day was her last day in Bagan. I felt sorry for her. I really wish that she could view very beautiful sunset of Bagan.